Quick Guide to Qoo10 Singapore Affiliate Program (Qoo10.sg) Here! Looking for the affiliate program to partner with the Singapore based Qoo10 in 2019? Here’s how to easily register and join as one of their affiliates. 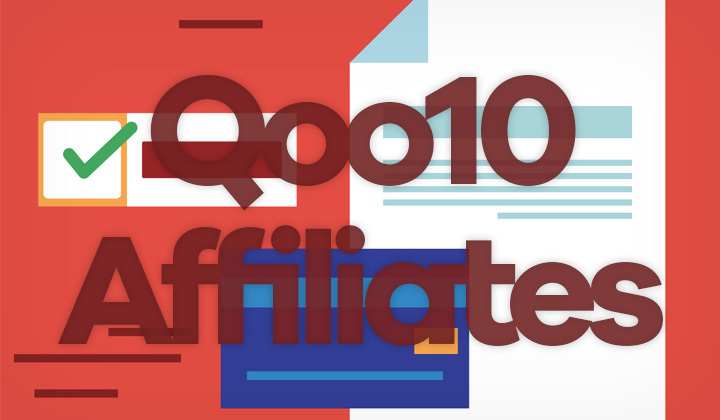 Quick link: Click here to access the Qoo10 Affiliate Program. While the program is easily one of the most popular affiliate programs in the whole of Singapore, it can be a little hard to find since it doesn’t go with that name. 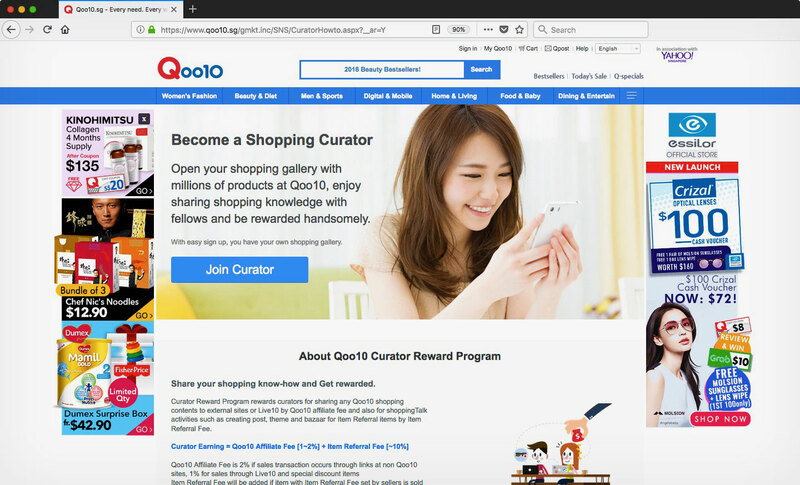 Instead, Qoo10 has a so called “Curator Program” (click for access) which works in a similar fashion to any ordinary partner program for affiliates. Simply click on the “Join Curator” button in blue. And if you already have an account with Qoo10 it’s really as easy as that. Contrary to competition, there is no approval process and you are pretty free to spread out your affiliate links. Once you are logged in, every product and other pages will display a button that you can generate affiliate links to that particular page. Affiliate commission is usually 2% of orders, which is unfortunately low. Nevertheless this site is hugely popular, so some affiliate have been able to stack up big profits if you can refer a lot of leads to Qoo10.sg in Singapore. Hope this quick how to guide helps to get started in 2019! Any questions about the Qoo10 Affiliate Program in Singapore? Your input is always most welcome below. Thanks and a big cheers, David.